"Murray State University in Murray, KY is a largely commuter public school with about 9000 students and "small-college attitude." Residence life is very important here, and each dorm has its own character. The nearby - and spectacular - "Land Between the Lakes" of Kentucky and Tennessee makes finding off-campus relaxation extremely easy." Describe the type of student who should not attend Murray State University and explain why. A student who is not serious about their education and who is not looking for a career should not attend Murray State University. My school is dedicated to helping students advance their education. Describe the type of student who should attend Murray State University. Why? What is a typical Murray State University student like? Describe the type of person that should attend Murray State University. What are the top 3 reasons someone should attend Murray State University? What was a typical Murray State University student like in high school? Describe the type of person that should attend Murray State University. a thrill seeker not afraid to try new things. the shy introverted mousey type student will be transformed into the out going leader of the pack type. 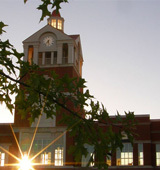 Murray State University serves as a nationally recognized residential comprehensive university offering high-quality associate, baccalaureate, masters, specialist and doctorate degrees. Academic programs are offered in the core areas of arts and sciences, agriculture, business, health and human services, teacher education, communications, engineering and applied technologies, and nursing. Teaching, research, and service excellence are core values and guiding principles that promote economic development and the well-being of the citizens of the Commonwealth of Kentucky and the region. Murray State University places a high premium on academic outreach, collaborative relationships with alumni, the public schools, business and industry, governmental agencies, and other colleges and universities at home and abroad. Murray State University prepares graduates to function in a culturally diverse, technologically oriented society and increasingly interdependent world. The University is committed to international education as an integral dimension of the university experience. Murray State University emphasizes student-centered learning and educational experiences that include first year experience, the honors program, internships, study-abroad programs, service learning, research and creative projects, residential colleges, and student organizations. In sum, Murray State University fosters an exciting and challenging learning environment. What are the top 3 things that students do for fun at Murray State University? 12% of female students live in sororities. Facilities: biological research station, animal disease diagnostic laboratory, two university farms with equine barns and training facilities, aquatic wildlife station, use of federal land between the lakes for research and field work, regional museum, center of excellence for telecommunications systems management, regional museum, state center of excellence for telecommunication systems management, archaeological research and excavation site, expo center for use with agriculture programs and rodeo team training. Any instructional program in agriculture, agricultural operations, and related sciences not listed above. 75% of students graduated in the top half of their class. The average student pays $9,765 for tuition, fees, and other expenses, after grants and scholarships. Total stated tuition is $6,060, in-state and on-campus, before financial aid. Learn more about financial aid at http://www.murraystate.edu/fas.aspx. Estimate the net price for you at http://murraystate.studentaidcalculator.com/survey.aspx. The typical (median) early career salary of Murray State University graduates is $34,500, according to Payscale. Murray State University participates in the NCAA Division I-AA for college athletics. Want more info about Murray State University? Get free advice from education experts and Noodle community members.